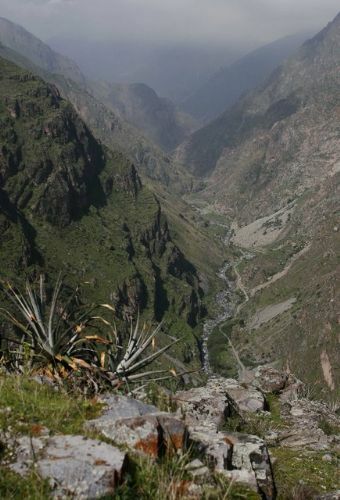 The mountains of Lima and Junin are part of the Central Andes. They are the source of the water that flows down the coastal region and are home for 14 bird species endemic to Peru. Topped with snow-covered mountains (like Rajuntay that measures 5,430 meters in height), highaltitude lakes, hidden Queuña forests, stands of Puyas and grass pastures above 4,000 meters, these mountains area impressive to behold. Contact with this spectacular natural scenery starts at kilometer 39 where there is a small detour along the central highway in the town of Chosica. This road then climbs parallel to the valley of the Santa Eulalia river, the main tributary of the Rimac river. The route then travels through Pallca and Maccachaca to the area of the bogs of Milloq, Marcapomacocha, Antajasha and Ticlio. The distance from this point to the final destination of Casapalca is about 100 km. Once we reach Casapalca we meet the main road again and start the journey back to Lima. Weather.- The Andes mountains has two seasons. The dry season between April and October is the ideal time for visiting. It is marked by sunny days, cold nights (with frequent frost) and no rain. The rainy season is between November and March. At this time rainfall is abundant (generally above 1,000 mm). A characteristic of this region is the drop in temperature throughout the day. It is common to have temperatures of 24 °C at midday before plunging to -3 °C at night. Includes: The logisctics to attract a feeding condors strategic. We leave Lima heading east along the central highway, taking a brief detour to the canyon of Santa Eulalia. 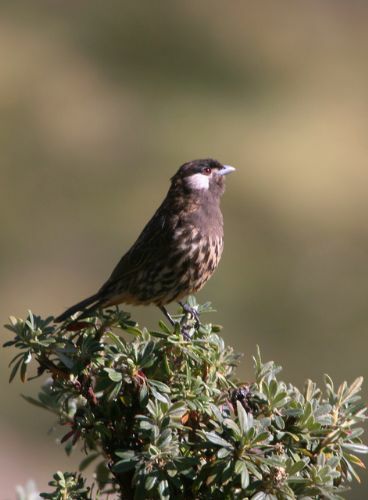 In the first slopes of the Andes mountains and steppe zones we begin to see many birds, including several endemic species such as the Great Inca-Finch, Black-necked Woodpecker, Rusty-bellied Brush-finch. During the flowering season we can easily see many hummingbirds like the Oasis Hummingbird, Peruvian Sheartail, Bronze-tailed Comet and the Giant Hummingbird. From a tower near the village of Huachupampa it is possible to see groups of condors flying over the canyon or sitting among the rocks. We will overnight at the hotel in the town of Huachupampa, located at 2,900 meters above sea level, allowing us to gradually acclimatize to the higher altitude and prepare for upcoming days at even higher elevations. 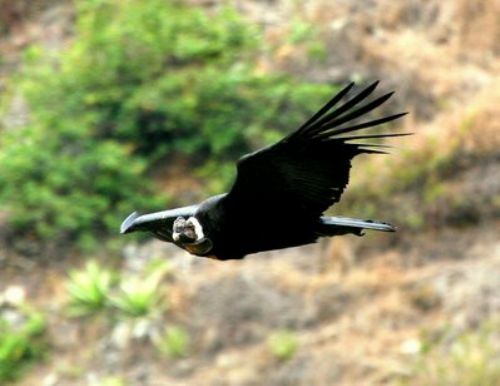 We will go to a hide located in a strategic point of the canyon to photograph condors. The area will have been prepared with bait to attract these birds. In the afternoon we will take photos in a bushy area where hummingbirds and some endemic birds forage. Overnight in Huachupampa. We began the journey to the high Andes at 4,000 m. where there are also mammals such as the Pampas Cat and Andean Fox, plus many Mountain Vizcachas next to the road. From a forested hillside covered with queuña trees we will search for endemics and unique specialties found in this habitat: the White-cheeked Cotinga and Striated Earthcreeper. Along the way up to the bogs between the slopes of the Cordillera la Viuda we will find the habitat of White-bellied Cinclodes and the almost mythical Diademed-sandpiper Plover and other birds of the puna zone. Here the spectacular scenery of the Cordillera La Viuda with the snow peak of Rajuntay is presented in all of its splendor. We began the return to Lima along the central highway.